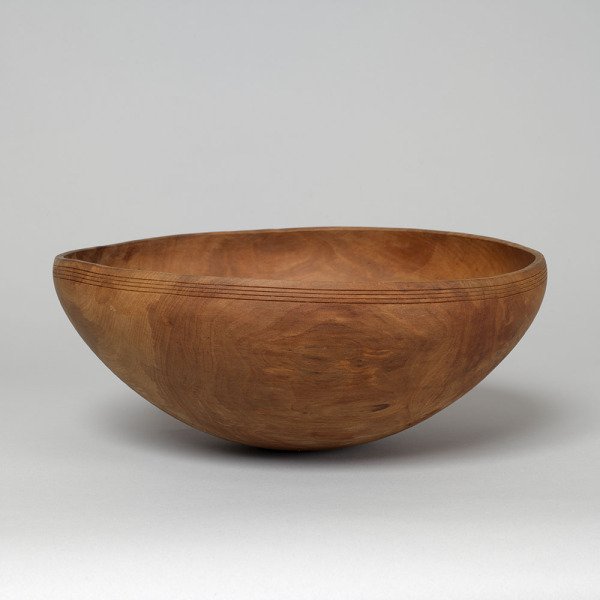 Oval-shaped apple wood bowl with an untreated surface and four incised lines near the lip. Hand-turned apple wood. The bowl was finished while the wood was still green (wet and newly felled) and has since changed shape. Change in shape as the wood dries takes 36-48 hours. 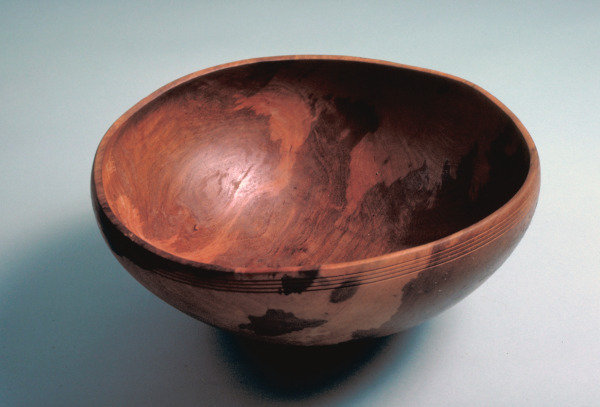 Applewood Bowl, Richard Raffan, 1980, Crafts Council Collection: W30. Photo: Todd-White Art Photography.